Even if you eat healthy, we all accumulate toxins and waste that we'd be better off without. Sometimes your body needs a little help in releasing the bad stuff. 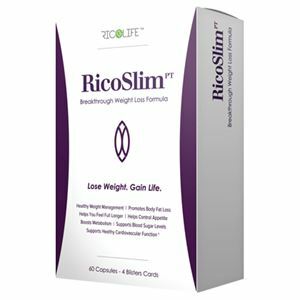 That's what RicoCleanse provides. 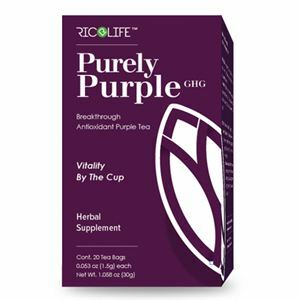 Gentle, natural ingredients including psyllium husk and papaya seed extract combine with the special power of purple tea with GHG to provide a thorough inner cleanse. 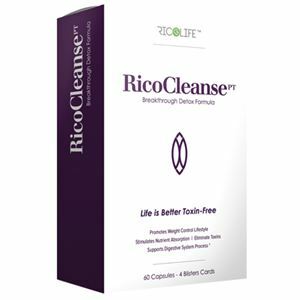 Whether you're looking to start a weight loss program, or just feel better, RicoCleanse is a great first step. Proprietary Blend (Psyllium husk powder, Senna leaf powder, Fennel seed, Papaya leaf, Peppermint leaf, Alluvia™ Purple tea extract standardized for 3% GHG™, Buckthorn Bark, Celery seed, Barberry root, Rose hips, Acidophilus), Microcrystalline cellulose, Magnesium stearate, Silicon dioxide, Gelatin.